Baltimore was the first United States city to begin regularly scheduled electric railway service in 1885. However, because of technical problems the line had to go back to horse car operation. After Frank J. Sprague developed an electric streetcar powered by an overhead wire for Richmond, Virginia; Baltimore adopted the new system and in 1893 opened the first electric line in the United States to operate on an elevated structure. By 1899, Baltimore streetcar lines, with their unique 5 foot 4.5 inch track gauge, were unified by the United Railways and Electric Company which purchased 885 semi-convertible cars with windows that could be raised up for summer operation and lowered for winter operation. 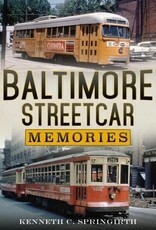 Baltimore Transit Company was the third United States system to introduce modern Presidents' Conference Committee (PCC) cars and at its peak operated the eighth largest fleet of these cars. A combination of factors including a ridership decline and making many downtown streets one way contributed to conversion to an all bus system. 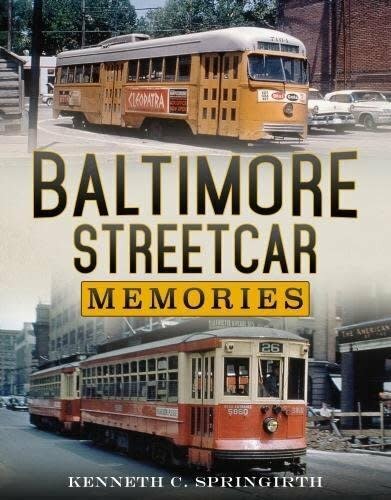 Baltimore Streetcar Memories is a photographic essay of history of the Baltimore, Maryland streetcar system up to its closure in 1963 and the return of a modern streetcar/light rail system 29 years later in 1992.